Mapping (sometimes called "mounting") a drive means you assign a drive letter on your computer to the server path. You can then connect to the server without having to remember and type the path every time. This is useful if you're using a data discovery tool to scan a server volume or folder. Once you have mapped the drive, you can scan it using the procedure to scan an external drive. For more information, see the step-by-step instructions for the scan tool you're using. 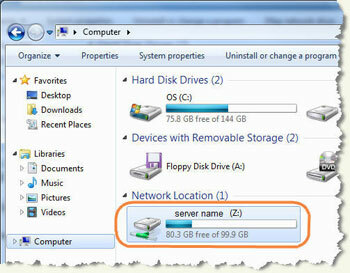 For information about how to map a network drive using Mac OSX, see How to Map a Drive: Mac OS X. 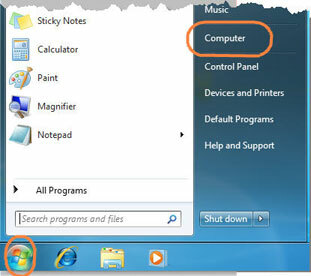 On the Start menu, click Computer. In the next window, click Map Network Drive. 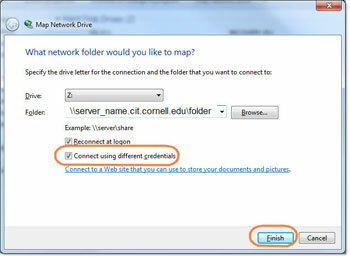 In the Folder box, type the path to the server, for example \\servername.cit.cornell.edu\foldername or \\myserver.mydomain.cornell.edu\e$. Click Connect Using Different Credentials, and then click Finish. 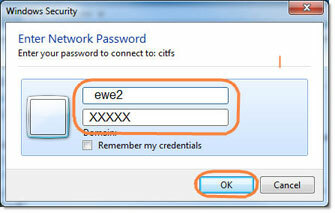 In the Password box, type your password for the domain, and then click OK. In the future, when you want to connect to this server, the mapped drive should be available. On the Start menu, click Computer. In the next window, click the server. The information in this article is intended technical staff who support end-users. It is unusual for an end-user to need this information. Identity Finder scans your computer for confidential data.